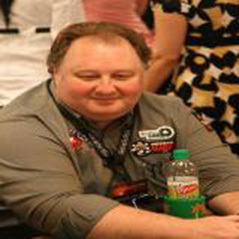 We say “Greg Raymer”; you say “nice bloke, very humble, good poker mind, could do with laying off the pies but overall a diamond geezer.” Well, everyone has a breaking point and Raymer apparently reached his in the opening flight of the EPT Monte Carlo grand final. "It was the first time in my 18-year career that I've done something like this," Raymer said. "It was stupid and unnecessary, but he kept annoying me." A young Ukranian player at the table had spent hours hassling Raymer; criticising his play and generally being an unwelcome presence. After Raymer won a pot from the player in question the abuse became worse and Raymer was heard to snap: “stop, or I will bash your head in.” He received a one orbit penalty for his outburst. "We both apologised and that was that. These things happen, but it wasn't a big deal,” Raymer said after the event.